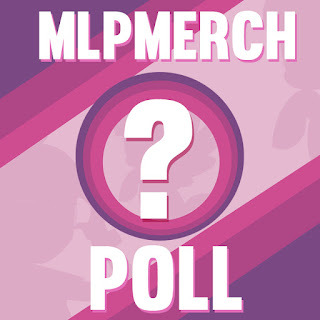 Last week we asked you which beach outfit of the new Equestria Girls Minis dolls you liked the most. 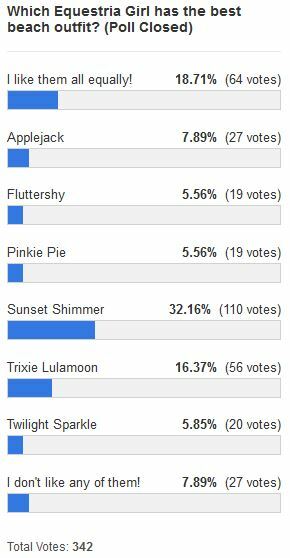 By a huge margin Sunset Shimmer won this "contest" claiming 32% of the votes, leaving the number two, Trixie, behind with only about half of the votes. 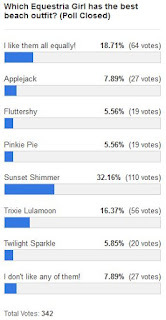 Another popular girl was Applejack with 8% of the votes and the other basically tied in last place with 6%. Aside from the individual votes we saw a group of 19% that likes them all, and 8% of people who dislike them all. This week we'd like to ask you about the - by far - biggest discussion of last week: Did Hasbro improve the Equestria Girls dolls with the new design they announced? We know this is two Equestria Girls polls in a row, but this is definitely something that needs to be backed by numbers! Are the new Equestria Girls dolls an improvement on the old? They're just different, I like each style for different things. Definitely much, much better; I thought the others were quite ugly, tbh. The noses are perfect, and I do NOT like the "large head+eyes" trend in toys & cartoons. Looks so goofy to me. I prefer realism! That said, I'm still not in love because I've never cared much for dolls. Rather see blind-bag-sized, fully-plastic EGs. I chose not better or worse. The outfits are a huge improvement. I'm not huge on the way the new style looks for the ones they gave ponytails, I think they'd look better with their hair down.